Ravin Nakjaroen and his wife, Paula Palakawong, are the co-owners of the Long Grain restaurant in Camden. They serve Asian home-cooked and street foods. 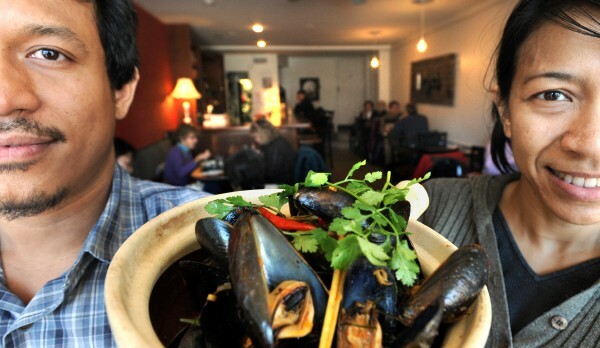 Pictured with them is a bowl of Pemaquid mussels in spicy coconut lemongrass broth. 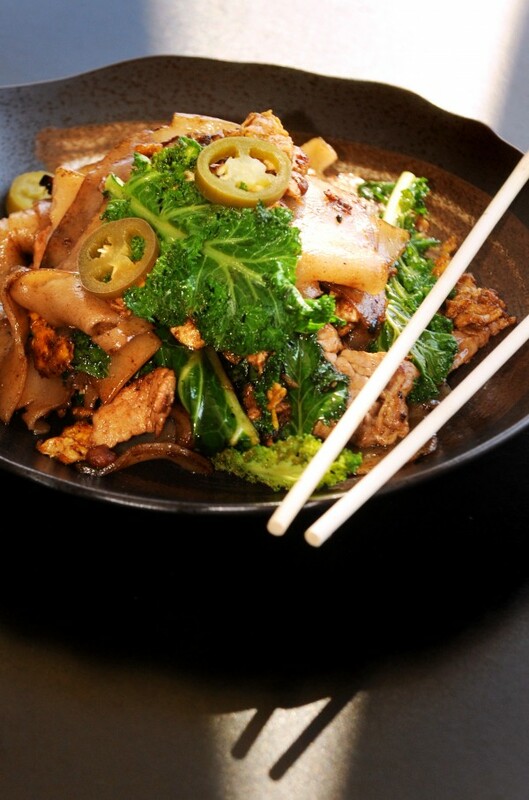 Pad see ew, homemade wide rice noodles with sweet soy sauce stir-fried farmer greens, at Long Grain restaurant in Camden. The Long Grain restaurant in Camden. Let’s face it: It’s hard to find high-quality Asian food in Maine. Sure, there are some shining exceptions — Pai Men Miyake in Portland and Suzuki in Rockland come to mind — and everyone has a personal favorite, old standby restaurant that does right by Chinese food. But for every fresh, flavorful, fantastic meal not swimming in grease and monosodium glutamate, there are five places serving deep-fried chicken fingers covered in sticky, sugary sweet-and-sour sauce. Once you’ve had really good Chinese, Thai or sushi, you never want to go back. The same holds true for Mexican food, but we won’t get into that. Heavy, greasy food is the antithesis of what’s on the menu at Long Grain, a Thai-fusion restaurant that opened last September in Camden. Owners Ravin “Bas” Nakjaroen and Paula Palakawong, both born and raised in Bangkok, moved to Maine in 2009 from Florida. In Florida, the couple most recently owned and operated the Four Rivers Contemporary Thai Kitchen, which was a semifinalist for a James Beard award in 2008. The call of a slower pace of life and a job at Camden’s White Lion Raw Bar and Bistro brought them north, their young daughter in tow. A year later, the pair jumped at the chance to own their own business and opened Long Grain in the fall of 2010. Long Grain has been a wildly popular addition to the midcoast dining scene ever since. Most nights, you’d be hard-pressed to get a table for dinner without a reservation — the locals appear to have caught on to the place in a very big way. 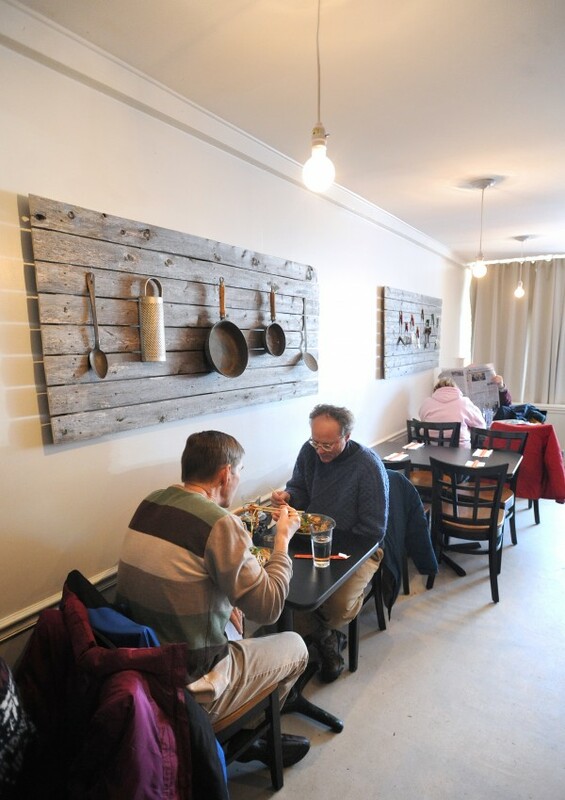 The tiny space, located on Route 1 in downtown Camden, does not seat more than perhaps 40 people, and feels more like a large home dining room than a restaurant. The intimate atmosphere underscores the elegant simplicity of the food; walking in, you’re greeted by the smell of ginger, sizzling pork frying in pans and a variety of hot chilis and savory spices. Drawing from the street food available in every corner of their home country and from a refined chef’s sensibility, Long Grain offers classics of Thai cuisine informed by Korean, Vietnamese and Japanese traditions. House-made seems to be a high priority for Nakjaroen and Palakawong, with their own wide, flat pad see ew noodles, freshly made stock for soups, and homemade kimchi, the addictive, spicy pickled cabbage ubiquitous in Korean cuisine. 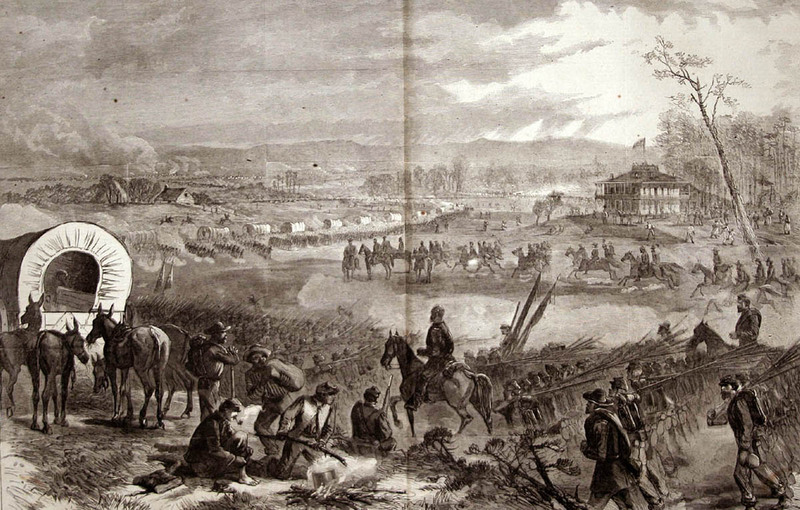 Much of the produce and meat is locally produced, from area farms and purveyors. Long Grain offers steamed pork buns, the beloved Korean appetizer, featuring a soft, steamed bun filled with tender braised pork and hot sauce. Their delicate spring rolls avoid being greasy and, rather, are light and fresh, as they should be. Lemongrass soup and tom kha — coconut soup — regularly appear on the menu. Pho, the Vietnamese soup, also makes an appearance, as do ramen noodle bowls, the deceptively hearty one-pot soup dish now in vogue in New York City and other major urban areas. Local mussels steamed in coconut milk curry are a serious temptation as well. Entrees balance meat-heavy dishes with clean, colorful vegetarian offerings. Tofu with greens and a delicious basil fried rice are good for anyone, vegetarian or not. The curry dish changes regularly, and the Thai classic chicken pad Thai is made with fresh ingredients, many of which were sourced locally. A stir-fried pork belly and kimchi dish is loaded with hot, powerfully flavorful chili sauce, and three or four unusually textured rice cakes are added to the mix. According to wait staff, the rice cake is actually the pad see ew noodles before they’re sliced up — a chewy yet soft block of carbohydrate goodness, that serves as a vehicle for decadently fatty pork belly, chili and delicious kimchi. Appetizers and entrees are reasonably priced. First courses are in the $6-$9 range, while entrees start at $9.50 and go up to $14. Service is fast and friendly and the interior is decorated with a mixture of Asian decor and fun, funky old kitchen items. A stack of cookbooks from an array of Asian cuisines makes for fun pre-meal reading, if you’re on your own — or if you’re with food-minded tablemates. Restaurants come and go seemingly weekly, but one can hope that Long Grain, with its fresh, authentic approach to a wealth of Asian traditions, will stick around. Long Grain, at 31 Elm St. in downtown Camden, is open for lunch and dinner. Reservations are advised for dinner and may be made by calling 236-9001.